I have the privilege today of introducing you to experienced author and journalist Ginny McCabe. Ginny has lots to share, so let’s get started. Welcome, Ginny! How did you get into writing? From a young age, I knew I wanted to be a writer. I have spent much of my professional career in full-time positions in news, marketing and media relations with news organizations, in radio and publishing. I earned a journalism degree from Cincinnati Christian University and had some tremendous mentors, but I learned early on the value of being a go-getter and a disciplined, well-rounded writer. In becoming a best-selling author and an award-winning journalist, it comes down to my faith, God’s hand on my life, the unconditional love and support of my family and friends mixed with hard work, talent, dedication and perseverance. How many books do you have published? What are a few of your latest titles? I have authored five books and collaborated on four additional titles. 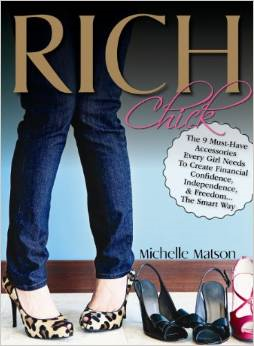 Secrets Young Women Keep (Thomas Nelson/Harper Collins), a CBA bestseller and an ECPA Silver Medallion winner, and Rich Chick (Amazon) are a few of the latest titles. How did your first book come about? 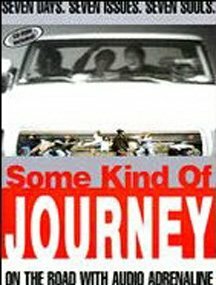 Some Kind of Journey: On the Road with Audio Adrenaline (Standard Publishing) was the first book project I had the privilege of being a part of. It was an MTV Real World kind of an experience from a Christian worldview. A group of us—an editor, myself as an author/journalist and several photographers/videographers—went on a road trip with Audio Adrenaline. We also took a handful of college students from across the country—Chad, David, John, Lisa, Rachel, Scotia and Vicki—and talked about real-life issues like the church, dating and more, which are covered in the book. We went from a golf course in Columbus to the inner-city streets of Chicago and onstage in Minneapolis—and experienced a week of what’s it’s like to be in a popular Christian band. The editor, Dale Reeves, knew I had experience writing about the arts, entertainment and music, so he asked me to be a part of it. A lot of book projects have come about as a result of relationships as well as my talent and level of experience. Dale was also my youth minister when I was a teenager. He introduced me to Christian artists like Keith Green and Michael W. Smith. 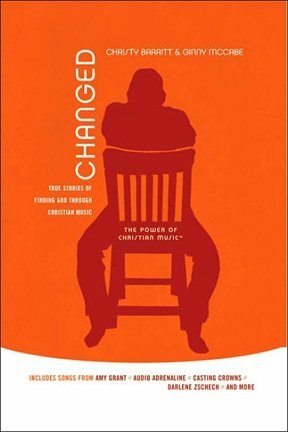 Christian music has been instrumental in my faith journey, so this book is deeply meaningful to me on many levels. That’s fantastic, Ginny—and so interesting! What has helped you promote your books the most? I enjoy marketing and PR, so I’ve worked hard at promoting each title. Gaining the support of others and growing an audience are both important. It’s also beneficial to broaden your platform by taking advantage of speaking opportunities and radio interviews. What’s the funniest thing that happened during a promotional activity? This is more of a fun story, but it ties into the release of Secrets Young Women Keep. I write articles for a local daily newspaper. I cover concerts that are coming to town. I had a phone interview with Thomas Gimbel, saxophone player of the rock band Foreigner. As soon as we started the conversation, he asked me about Secrets Young Women Keep. I hadn’t mentioned it to him, but he knew about it somehow. It took me by surprise, and it was one of those happy moments. Even though it was a lighthearted, almost joking, few seconds of conversation, it touched me that he asked about the book. Now, it serves as a reminder to me to show interest in others and their work without expecting anything in return. It can make someone’s day! That’s a great story—and fantastic advice. Thank you! Now, is there something you did that really helped with marketing your books? I think the biggest thing is to make yourself available and work well with others—“to do what it takes” and “to go the extra mile”—whether that’s going to bookstore, speaking at an event or doing a radio or television interview. Online marketing is essential, too. I would encourage having a website, a blog and a strong social media presence. I think I know the answer to this one, but did you see God open any doors you never expected in the promotion of your books? Yes, God opens doors every minute of every day. I’ve always been rooted in an approach, backed by my faith, to be faithful in small things or the task at hand, asking God to open doors. He always exceeds my expectations and continually fulfills the desires of my heart. Now that you’ve been writing a while, what do you find works best for you in promoting your work and why? A combination of promotional factors work well for me. I look for non-traditional opportunities, and reach outside of my primary circle of influence. Ultimately, the more you make yourself available and get the word out, the more you will touch and influence lives. Amen, sister! What are your top tips for writers with their first book contract? The path can be different for everyone. My advice might be to follow your life’s passion and work on becoming a great writer and the skill of writing. Thanks so much again, Ginny. I know your words—here and through your many projects—will bless and encourage many. 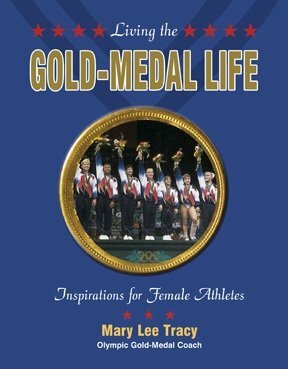 To learn more about Ginny McCabe, visit www.ginnymccabe.com or her www.muckrack.com/ginny-mccabe.